Here you will find everything you need for that special person. Here you can find our complete collection of beautiful bouquets for all occasions. 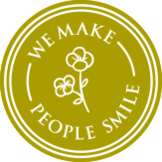 All our flowers are prepared fresh by our network of expert local florists around the world and many can be sent to over 100 countries. FloraQueen has everything you need to surprise anywhere and anytime with the best quality flowers. Flowers are the key to making a surprise gift burst with emotion. No matter if the sentiment is one of joy on a birthday, wedding or anniversary or for a sad occasion like a funeral or to express sorrow. Flowers have an almost magical ability to communicate all your feelings from a distance, without a single word being spoken. A bouquet can easily be chosen to fit the characteristics and style of whoever you want to impress and there’s a certain level of luxury implied when you deliver flowers to someone’s door. Let the colours and fresh scents send the perfect message to someone special from anywhere in the world. Our collection of flower bouquets features arrangements of the most popular flowers of people around the world. From classic red roses to mixed arrangements of orange alstroemerias lilies and chrysanthemums or pink gerberas and carnations we’ve got lots of options for you to choose from. 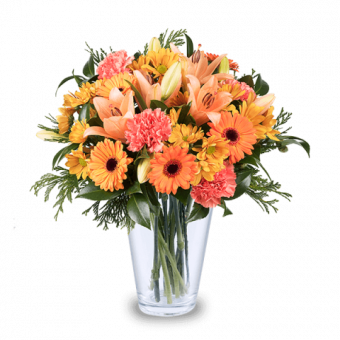 Different flowers have different meanings and with our wide selection available you can send the perfect message to ideally suit any loved one. That’s all there is to it. Once we receive your order we’ll get to work preparing and sending your chosen arrangement just in time to surprise your lucky recipient.